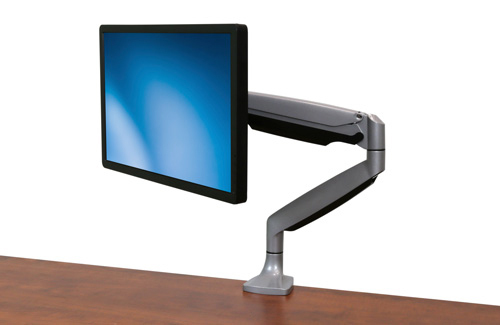 Free up space while creating a more comfortable and productive work environment. 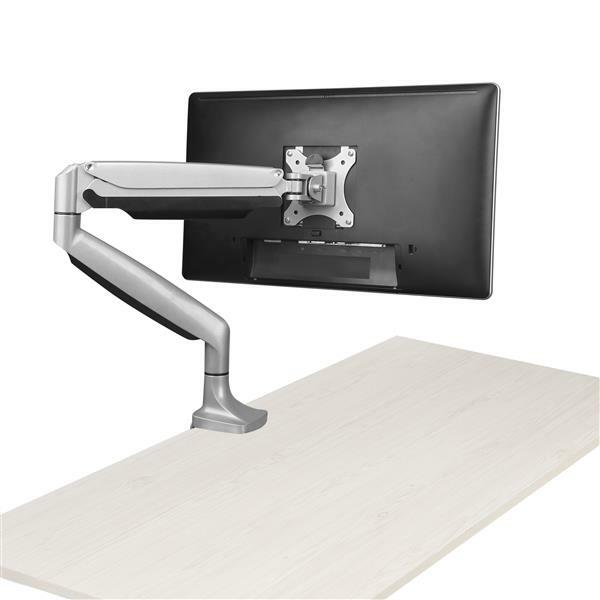 This desk-mount monitor arm makes it easy to mount your display above your desk or table and adjust the height with one touch for ideal viewing. 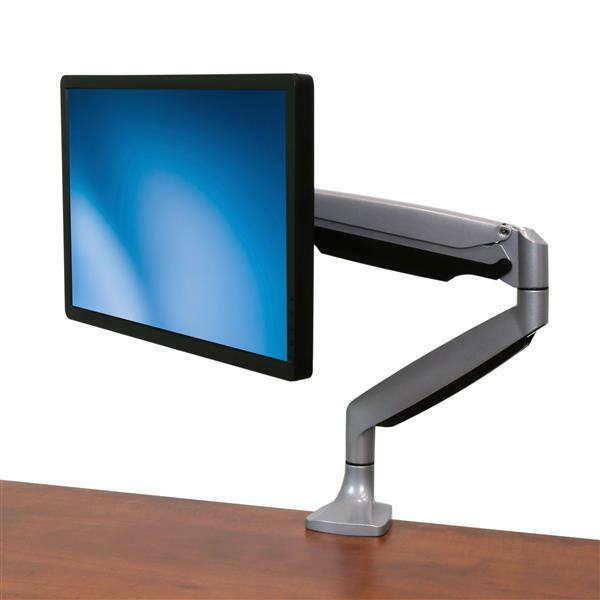 Its sleek silver finish enhances the aesthetics of your workspace. 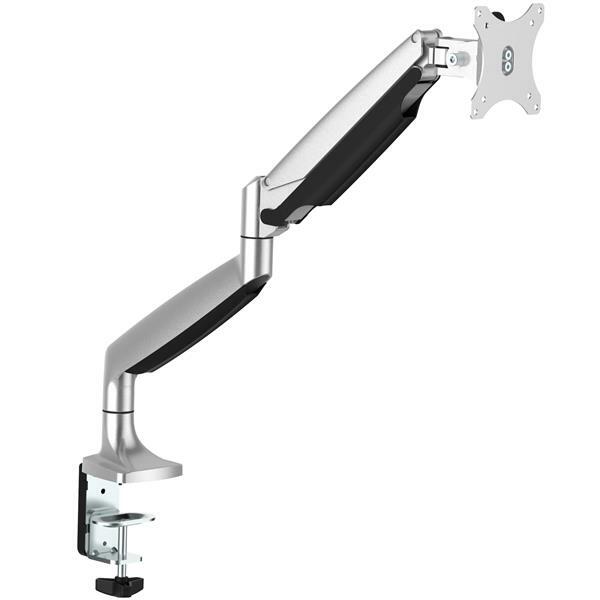 This heavy-duty monitor arm helps you save space on your desk or table surface, by enabling you to securely mount a computer monitor from 13” (330 mm ) to up to 32” (813 mm) in size and up to 19.8 lb. 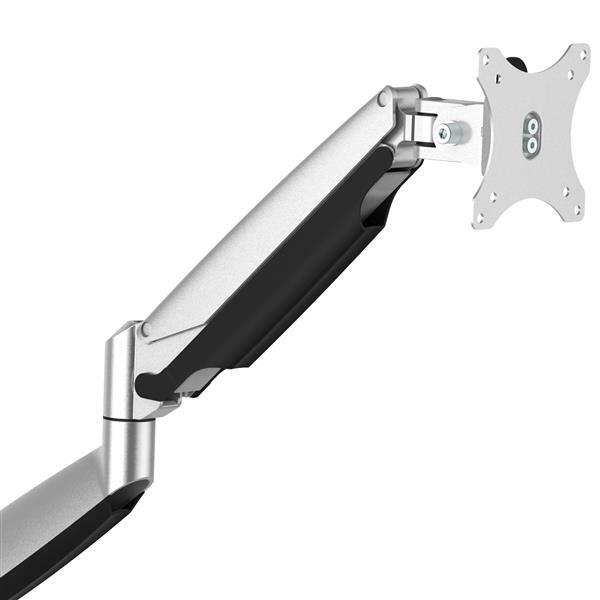 (9 kg) in weight. 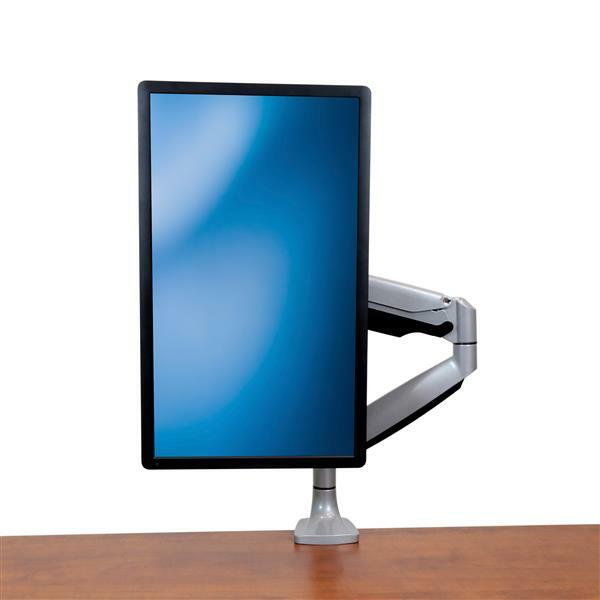 It’s ideal for many different office applications, such as healthcare or financial settings, shared workspaces, or when you wish to show your display to clients or colleagues. 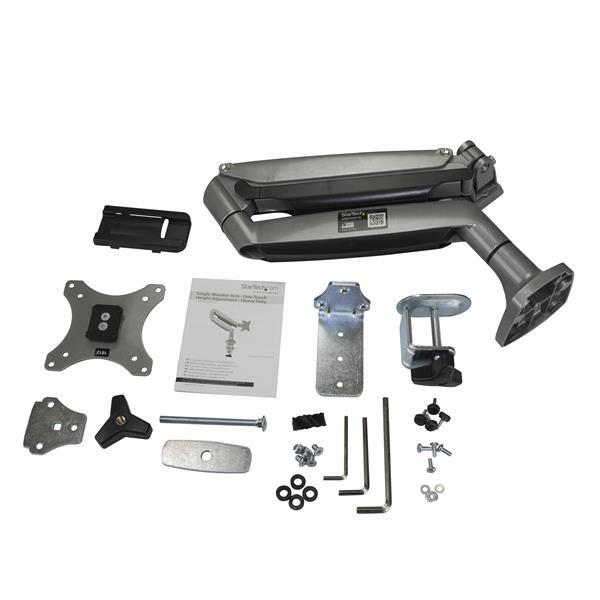 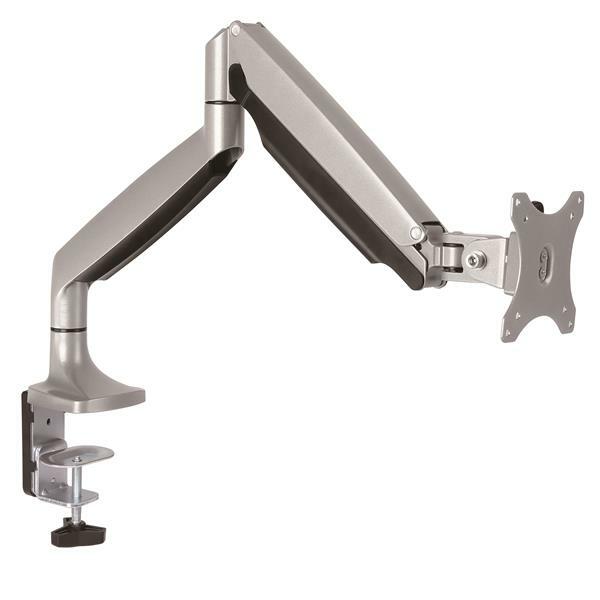 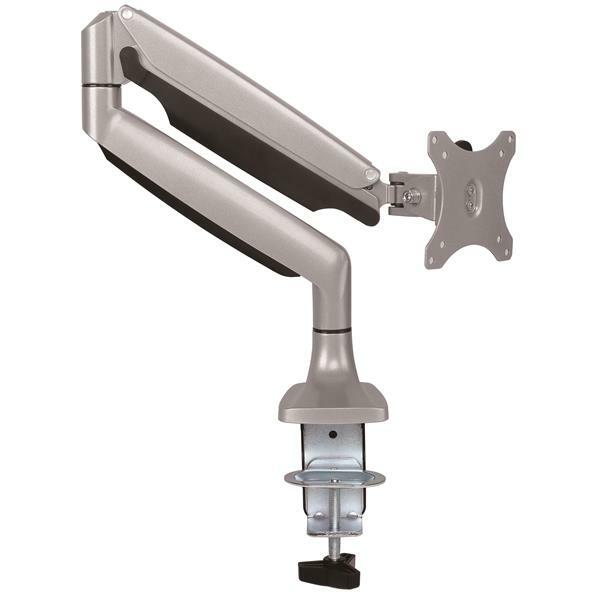 The full-motion articulating arm makes it easy to find the right viewing angle. 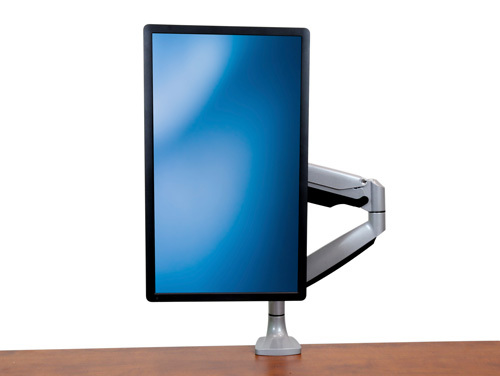 You can swivel your monitor 180 degrees to share your display, while collaborating with others. 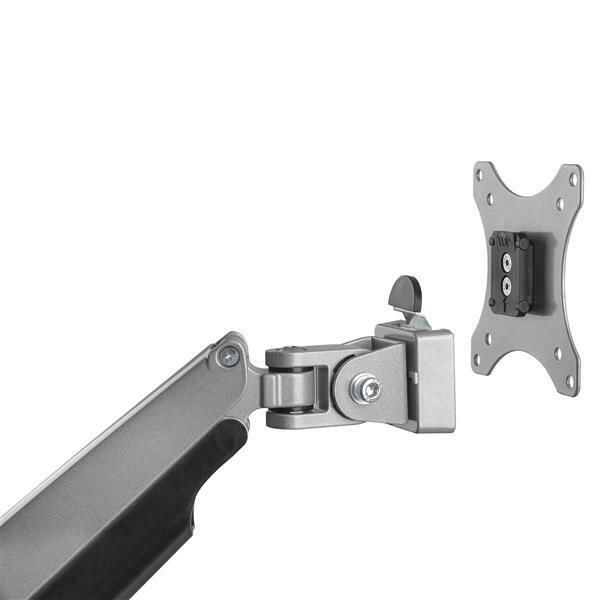 The articulating arm also supports 180-degree rotation, so it’s easy to switch from landscape to portrait orientation, and back again. 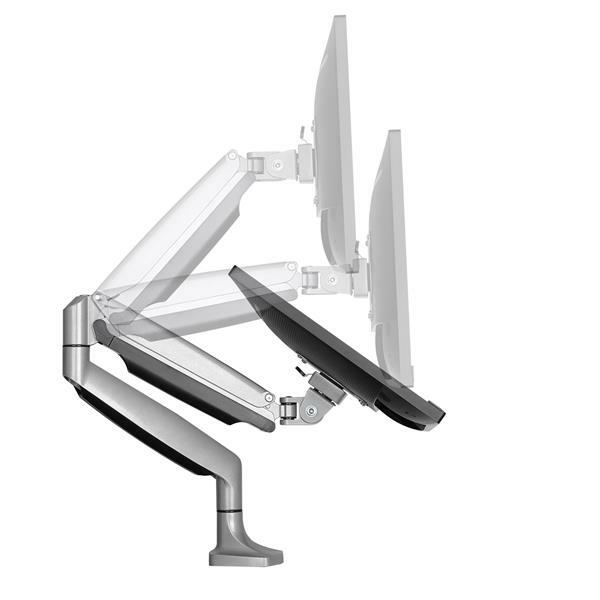 You can also tilt your screen +90° to -90° for comfortable viewing. 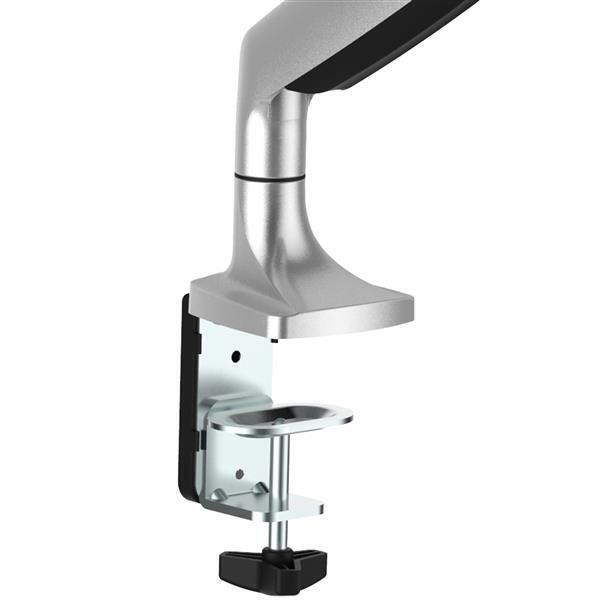 The ARMPIVOTHD is backed by a StarTech.com 2-year warranty and free lifetime technical support.